We've had some big storms roll through the Valley in the past several days and last night it really ripped. Down in Phoenix, Dan the Man's power has been out since last night at eight. Huge pine tree blocking one of the streets near his house. We got hit about seven last night and the power went out momentarily but it came back on immediately. So we dodged a bullet on that one. 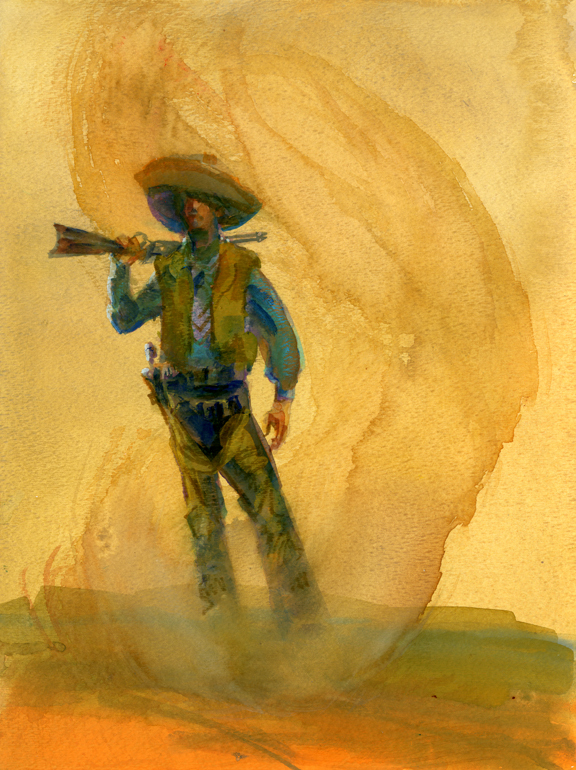 Anyway, when the dust blows like this I get homesick for Kingman and I have a tendency to go there in my head when I draw. 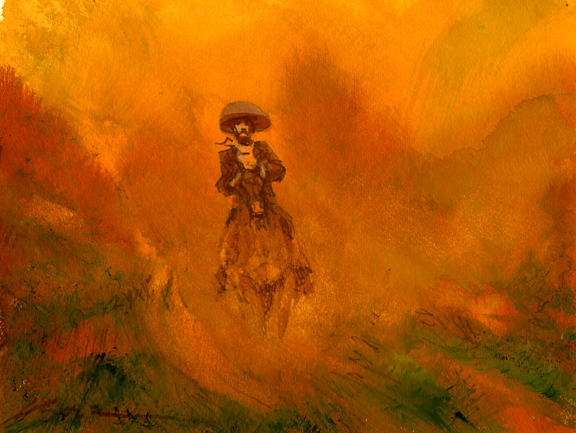 "Visibility Dropped to Zero But Still He Rode On"
Daily Whip Out: "Billy the Kid In Dust"
"It's hard to do 'Old Man' now. It's like, 'Old man take a look at my life/ I'm a lot like I am." That last effort really captures Mohave County landscape. Good show! 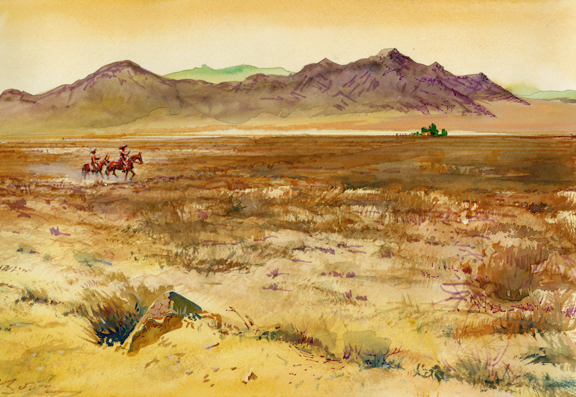 I love the paintings Bob...but especially that last one, "Ojos and Fang Approach a Lone Ranch on the Mojave". Superb!